I was in London last week for a conference. My hotel was near Kensington Gardens, one of London's Royal Parks. 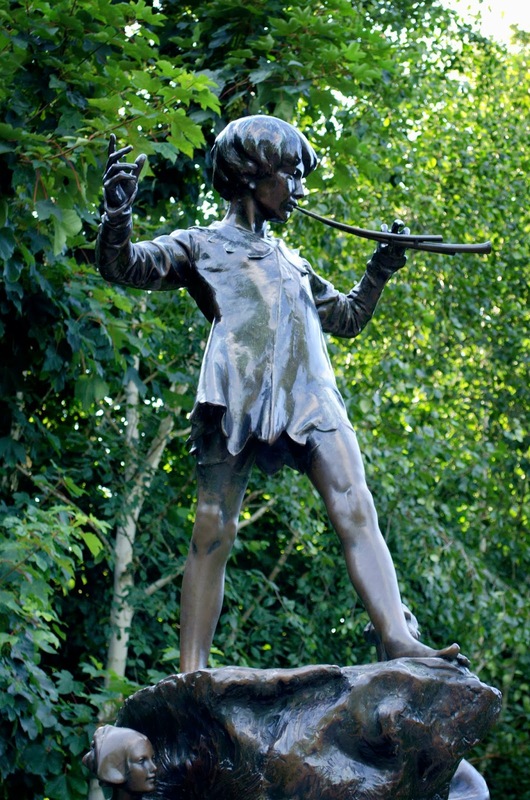 I walked all over the gardens, saw the famous statue of Peter Pan, and sat by a pond watching the royal waterfowl. There were mute swans, tufted ducks, Egyptian geese, moorhens, great crested grebes, great blue herons, and abundant Eurasian coots. 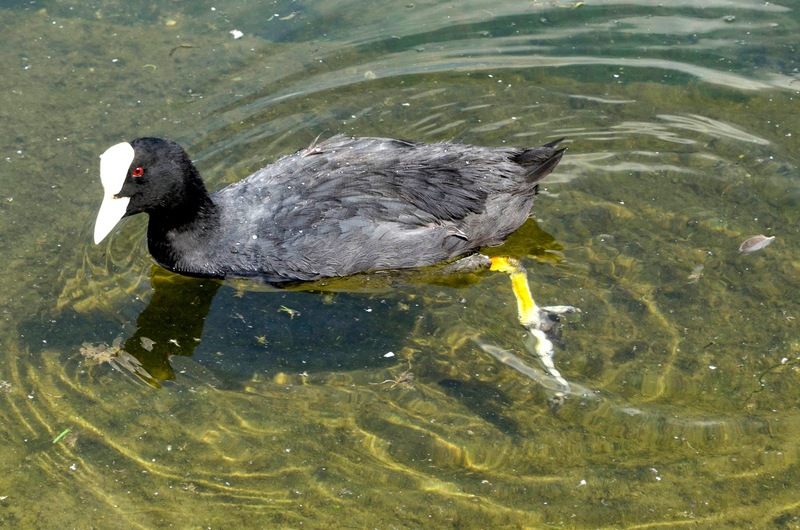 Eurasian coot adult, Fulica atra. Click to enlarge. 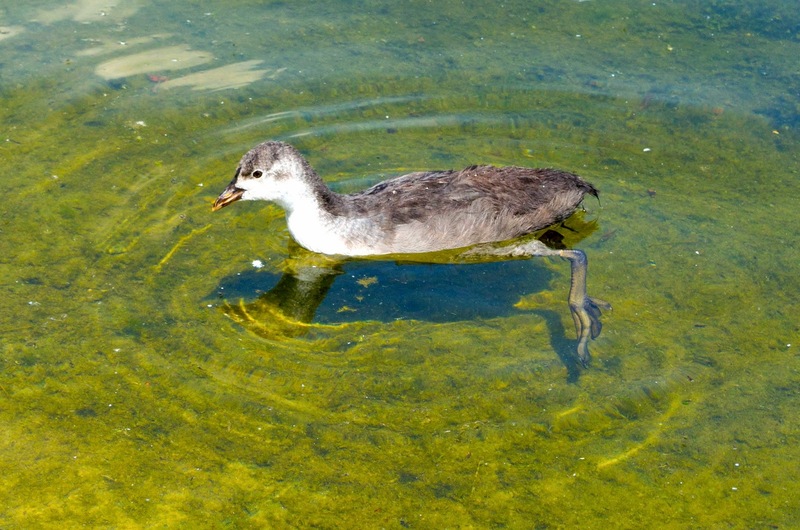 A Eurasian coot chick strikes the same pose. 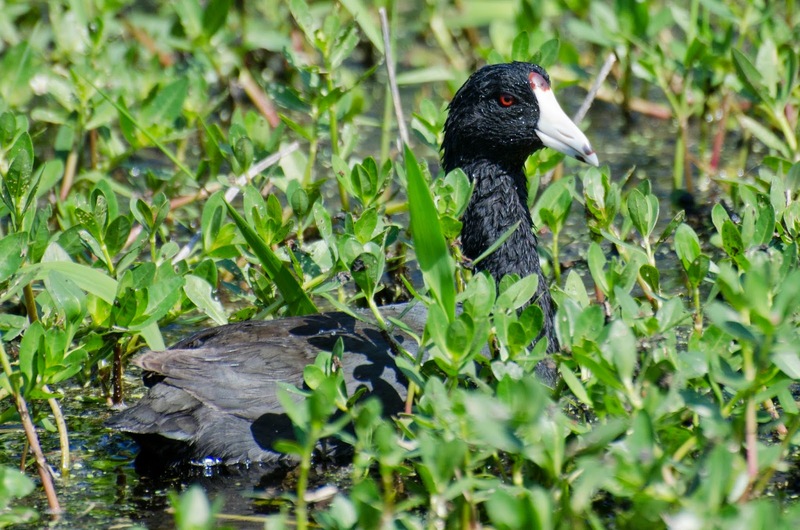 This is our local version -- the American coot, Fulica americana. Note the different features on the face. Ours has marks at the tip of the beak and on the forehead.